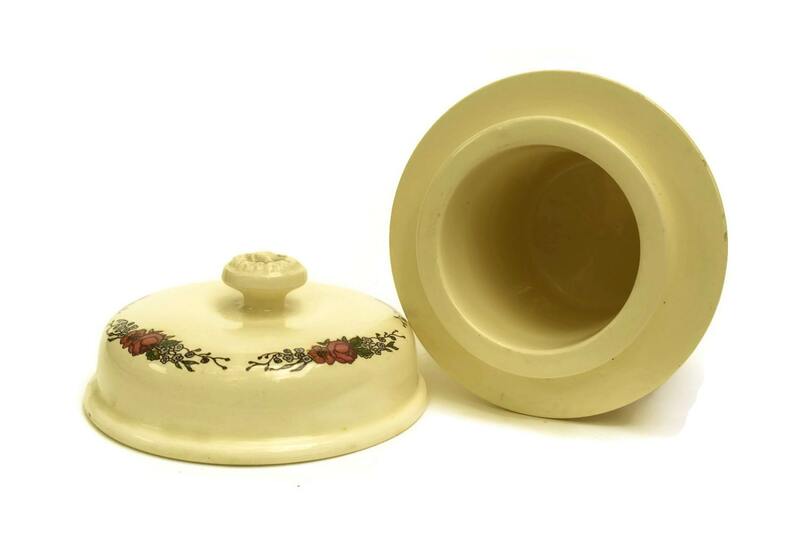 A French vintage foie gras Tureen manufactured by the renowned Sarreguemines ceramic company. The French terrine features designs from the Alsace region of France. 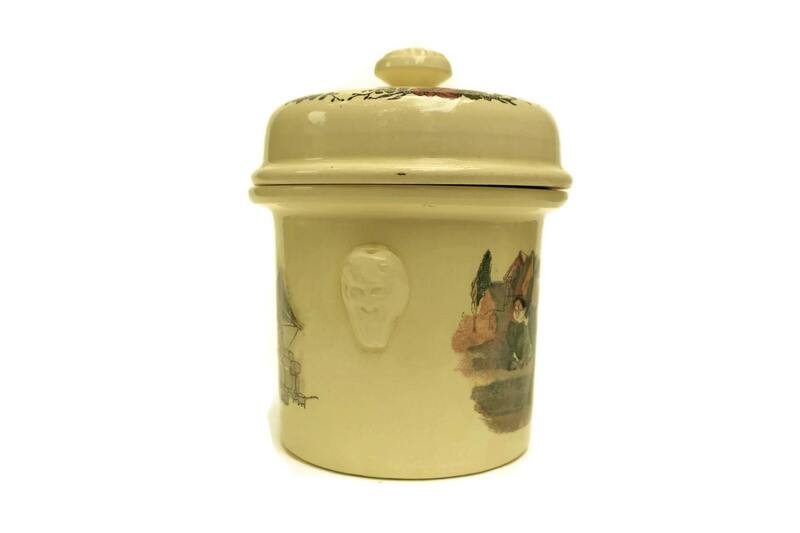 The tall, lidded jar was originally used to store freshly made goose Foie Gras. 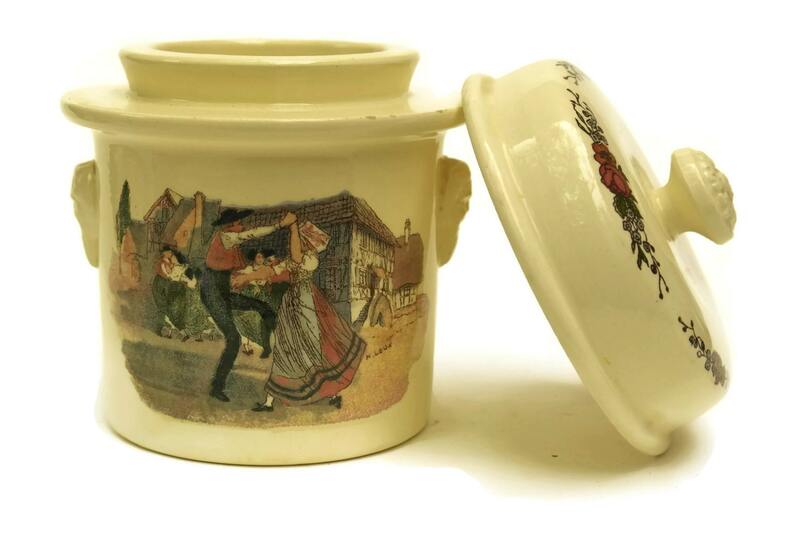 It has been decorated with charming transferware images of couples in traditional costume and also features two small handles in the form of bearded men. 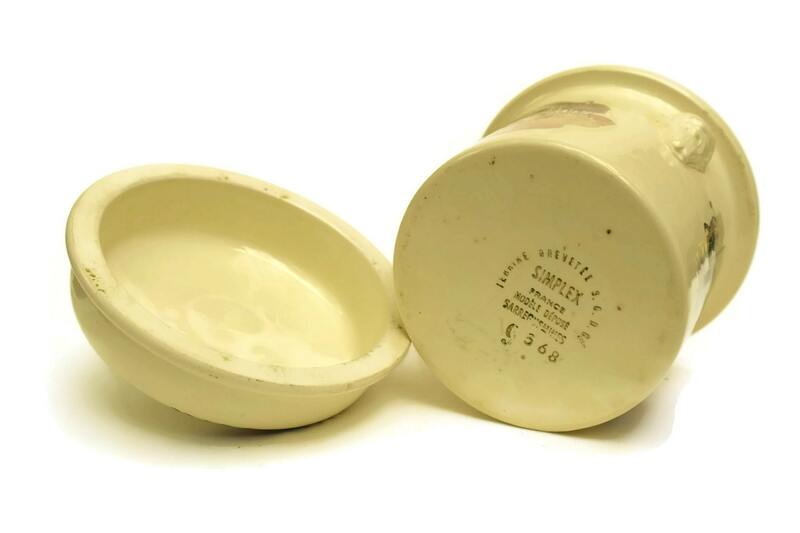 The base of the storage jar has been stamped with the Sarreguemines marks. It will make a great addition to your rustic kitchen decor or an original foodie gift. 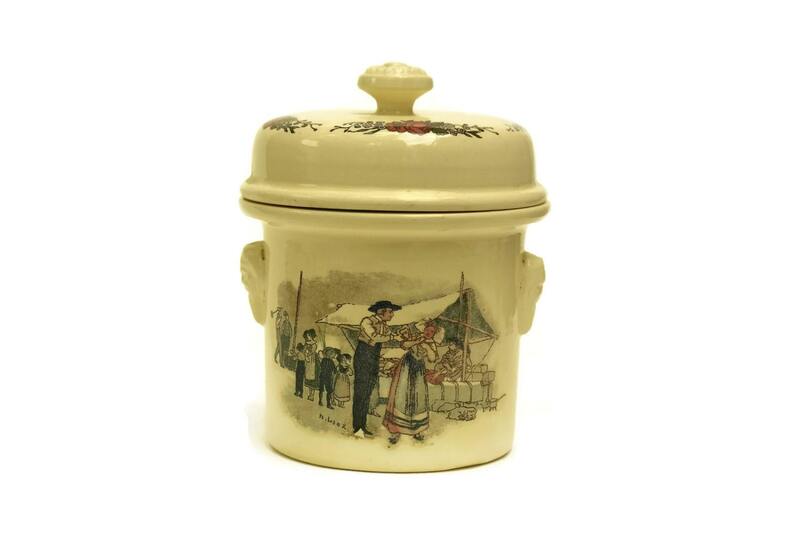 The French kitchen canister is in very condition with no chips or cracks.